Be the first to hear about their new releases and deals. 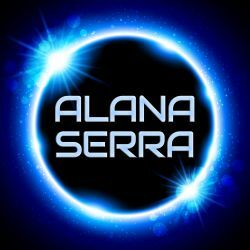 Download the Booksprout app and search for Alana Serra today! Alana Serra enjoys writing feisty heroines and heroes that are /extremely/ alien (in the best, sexiest ways) but still over-the-top alpha when it comes to protecting the women they love. She also maintains Garrus Vakarian is the best space husband, hands down, and will accept no rebuttal to this obvious fact.